Wine fiends — those who not only enjoy or love wine, but spend an inordinate amount of time and energy talking, debating, reading, blogging and posting about it — often decry the "globalization" of wine. They point to an "international style," or homogenization, and complain that cabernet sauvignon made anywhere tastes just like cabernet made everywhere. There's a positive side to globalization, though. The Judgment of Paris tasting of 1976, in which French judges rated California wines higher than French, shattered the myth that fine wine was an Old World monopoly. 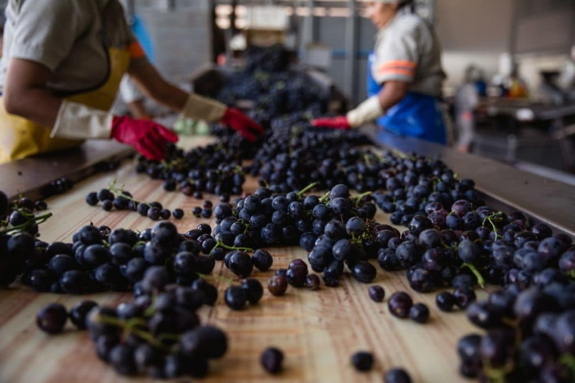 The spread of modern viticulture and oenology that followed, fueled by the concurrent spread of democracy and the growth of free trade, resulted in delicious wine being grown around the world. We can now enjoy excellent wines from regions we may never visit except through the virtual portal of a corkscrew. My most recent discovery is Bolivia. Bolivian wine shouldn't be a surprise, if you look at a map: The country continues the northward arc of the Andes mountains and the vineyard lands of Argentina's Mendoza, La Rioja and Salta regions. And like Argentina and Chile, Bolivia shares a Spanish history. When the conquistadors arrived in the 16th century, they planted vines — Mission for red wine and Muscat of Alexandria for white. The Muscat of Alexandria (a variant of muscat, the grape familiar to us as moscato), became the basis for singani, Bolivia's national firewater. Similar to Italian grappa, singani is a delicious and aromatic digestif. It was singani that led Ramon Escobar to Bolivian wine. Escobar, a U.S. Foreign Service officer and the son of immigrants from Bolivia, began importing singani four years ago, in part as a means of maintaining his connection to his family's homeland after his grandmother died. 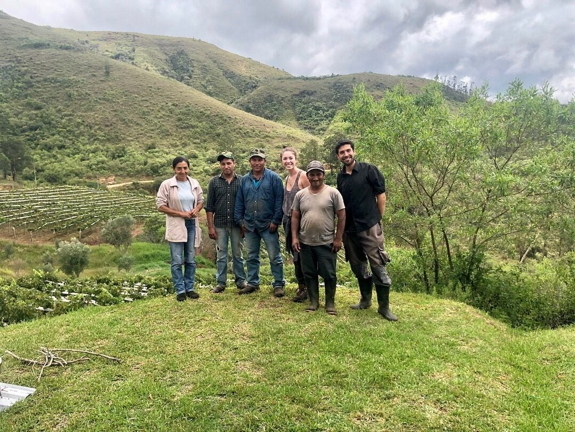 Last year, his company, Arlington, Va.-based Chufly Imports, added two Bolivian wineries to its portfolio, and two more will be added this year. I met Escobar recently over a breakfast of saltenas and choclo, a South American corn dish, at Kantutas Restaurant in Wheaton, Md. He was just back from his post at the U.S. Embassy in Mexico City for a week's vacation. We were joined by his wife, Samia Yakub, and their two boys, Laith, 4, and Kais, 1. Two of his partners in Chufly Imports, Tealye Long, who manages the business on the East Coast, and Carlie Steiner, co-owner of Himitsu restaurant in the District, were also there. "For every 25 acres planted to vines, 10 families are raised out of extreme poverty," he said with the familiarity of an oft-quoted statistic. "We have the chance to help transform the direction of an entire region of the poorest country in South America." He and Long use that backstory to help sell their singani, called Rujero, and their wines. "You're going to drink anyway, why not drink something that supports development?" Chufly's imports are distributed in the District, Maryland, Wisconsin and in Portland, Ore. They will soon be in Seattle, Virginia and New York. And how about those wines? Bolivia has only about 3,000 hectares (7,400 acres) of vineyards, almost all at extremely high altitudes. "They say Bolivia starts making wine where the rest of the world stops," Long said. The altitude creates a semiarid climate with intense sunshine and cool nights that help keep the wines fresh. Tannat is Bolivia's major red grape. But unlike the tannats of Uruguay, which tend toward the rustic, these are vibrant and polished, with impressive complexity. Chufly's offerings include wines from Aranjuez, one of Bolivia's largest wineries, and a line from Uvairenda called 1750, named for the vineyard's altitude in meters. The Aranjuez tannat is very stylish in a classic way and benefits from spending six months in barrel. The 1750 tannat, made without oak so that it can express the terroir, is edgy and vibrant. These are two delicious wines that taste similar but are dramatically different in style. It is fascinating to taste them side by side. Each winery produces crisp, aromatic whites based on torrontes. Long confessed that after working to build a niche market for singani, she felt trepidation at the prospect of persuading people to buy Bolivia's wines. But Steiner said the wines sell well at Himitsu, especially the 1750 syrah, which she offers by the glass and the bottle. So well that she decided to become a partner in Chufly. "Our generation loves to try new things," she said, referring to millennials. She added that a "small, curated wine list" like Himitsu's can appeal to adventurous palates.